It is placed at the bottom of the reservoir to prevent turbulence that could lead air into the watercircle. There are two mountings placed above and under the pipe for fastening the lot in the casing. 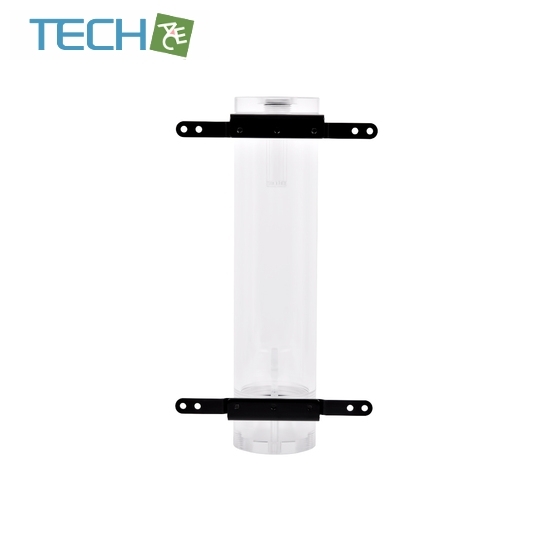 The holes in this mounting have a spacing of a 120/140 cooling fan.You can reduce the width of the mountings up to the width of the reservoir and there are three M4 threads available per mounting for fastening if you would rather not mount the reservoir at the fan space. These mountings are easily removable especially when not being used. You will find these mountings on all 20 reservoirs. 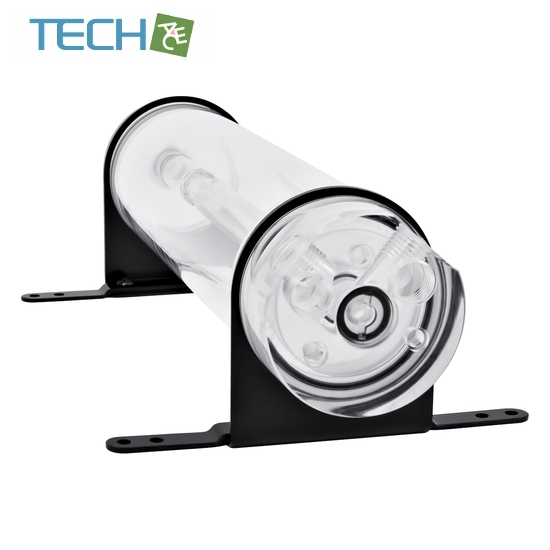 The lighting modules consist of plexi and enable the lighting with a 5mm LED. These modules can be installed into all 1/4" holes. They are being used in the lid and occasionally in the socket of the reservoir. This facilitates a unique way to your personalized lighting effects. 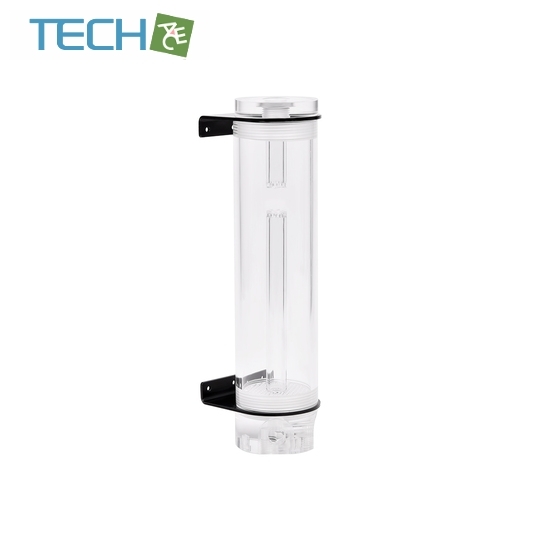 All models of the reservoir are available in Acetal and Plexi. So there is something for everyone. 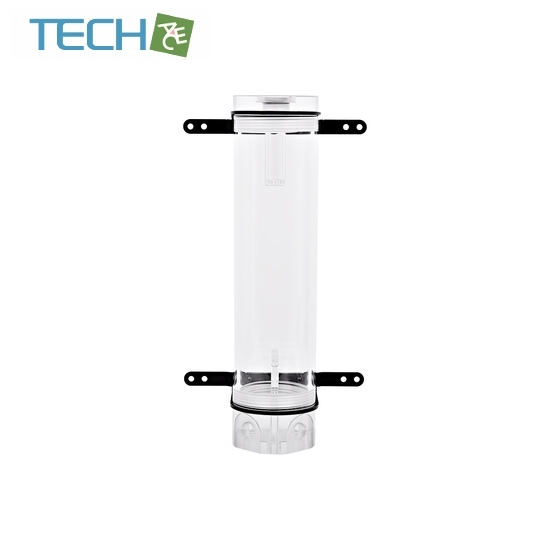 All reservoirs are available in two different sizes: the 150mm version and the 10cm bigger 250mm version. The smaller reservoir comes with only one standpipe coming from the bottom because of its size and the bigger reservoir comes with two: one coming from the top and the other one from the bottom. 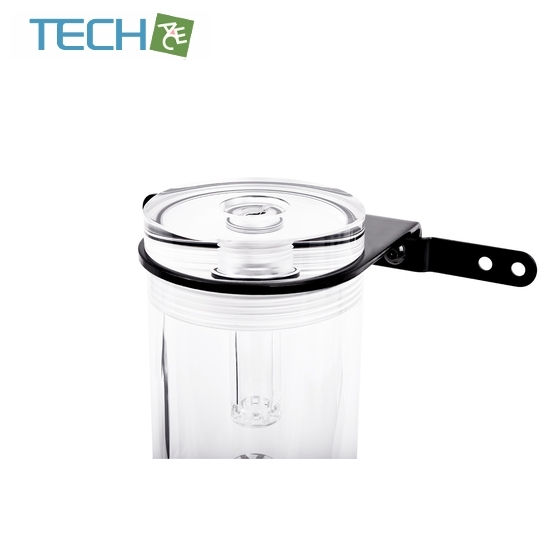 There are two additional versions for everyone that would rather operate the pump separately. The Bubble Down and depending on the size one or two standpipes that facilitate the "Lighttower" effect and two lighting modules one from the top and the other one from the bottom are being used here. And there are additional three LED holes for the plexi version to maximize the lighting power. The openings to fill or drain the liquid are doubled here: One at the side and one at the bottom. In order to use the intake from the top, a G1/4” extension piece is necessary (article 1011183-1011186),since the screw thread is embedded a few mm into the lid and many compression fittings will not be able to be screwedin.